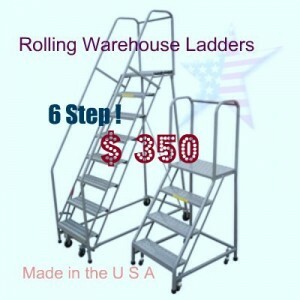 Rolling 5 Step Ladder, these are the backbone of warehouse maintenance. 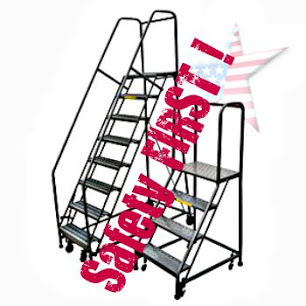 Rolling 5 Step Ladders are for 1nventory control, inspection and a fast responder for any quick access. These work-horses are made of rugged 1 inch square tube design & come standard with a weight activated "Lock Step". 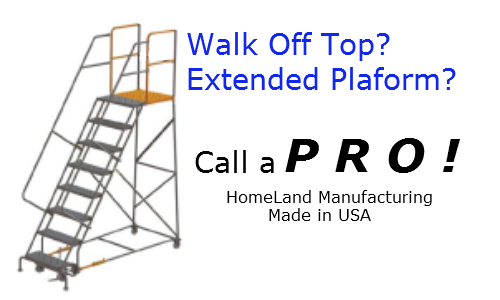 The Rolling 5 Step ladder handle on the side is designed to release the lock with ease. We can build these with a longer platform, walk off top safety chain, 6 wheel turn and GALVANIZE them too! 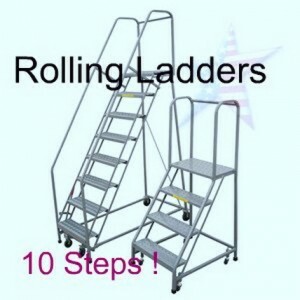 ROLLING LADDERS are often made of Aluminum or Stainless. 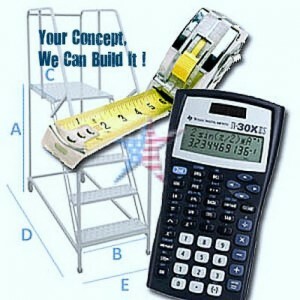 *See our 'LADDERS BUYERS GUIDE' on the TOP of this page.